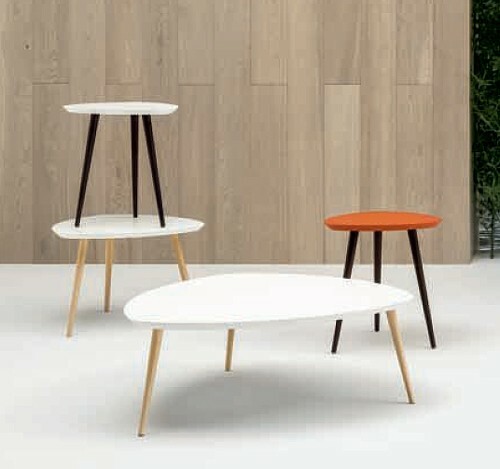 A collection of end tables and coffee tables. 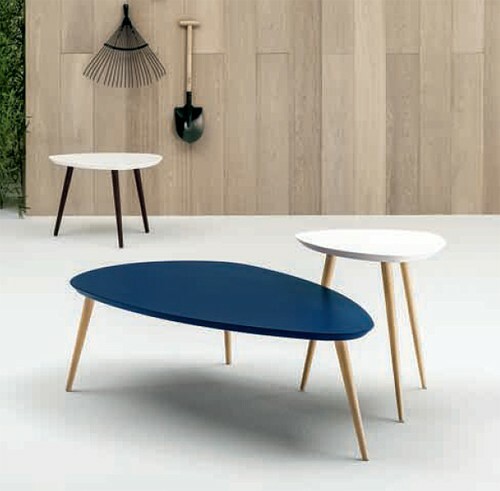 The wooden top is shield-shaped top with a 45° milled edge, and is available with a veneered or embossed lacquered finish. 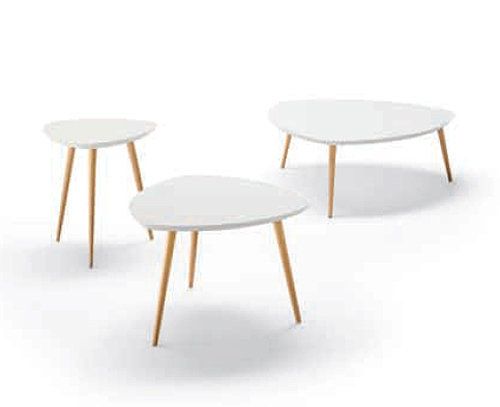 The legs are tapered and available in wooden or lacquered legs. 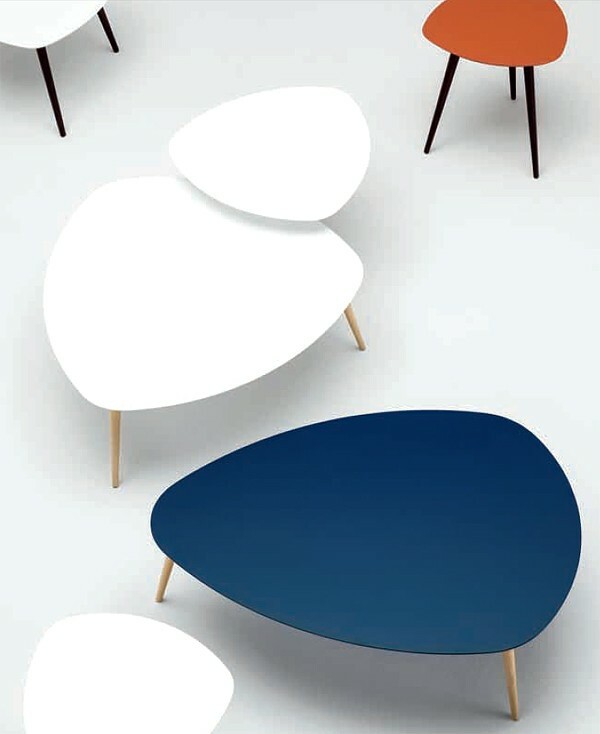 See color links below for all available wood/lacquered finishes.